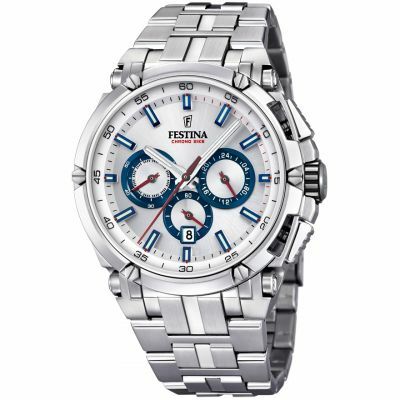 Festina Chronobike 2017 Special Edition F20329/1 is a functional and attractive Gents watch. Material of the case is Black Ion-plated Steel and the Black dial gives the watch that unique look. The features of the watch include (among others) a chronograph and date function. 100 metres water resistancy will protect the watch and allows it to get submerged in the water for everyday usage including swimming, but not high impact water sports. The watch is shipped with an original box and a guarantee from the manufacturer. Established in the early 1900s, Swiss watchmaker Festina is renowned for its technical precision found in every one of its watches. With pieces available for men and women, the chronograph designs are perhaps the most recognisable, thanks to the style's practicality and functionality. The brand also creates a range of minimalist and vintage-inspired timepieces, ideal for those who enjoy traditional design. Colours range from bright white to deep blue (and everything in between), with leather and metallic straps available. 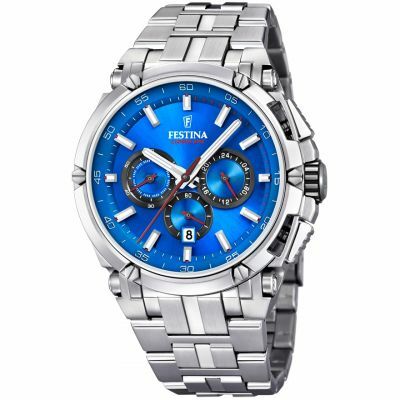 When it comes to a watch you can rely on to track everything from the hours of the day to the milliseconds of your sporting activities, look no further than Festina. 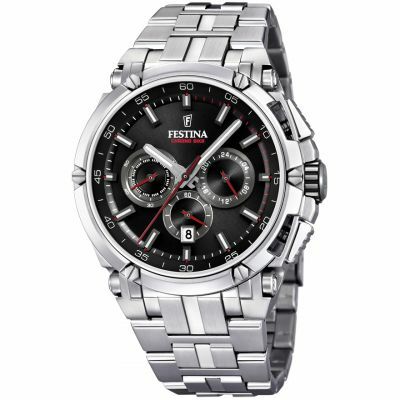 Browse the full collection of Festina watches, or explore the range of Lotus watches for other options you may appreciate. 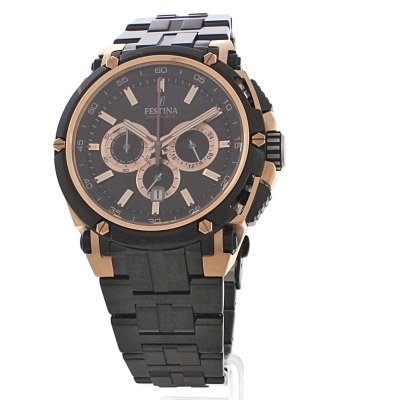 Watch Shop is an authorised Festina stockist.